Measures electrical parameters in three phase-three wire and three phase-four wire such as AC Current, AC Voltage, Frequency, Active, Reactive, Apparent Power, Import Export Energy, and several others. 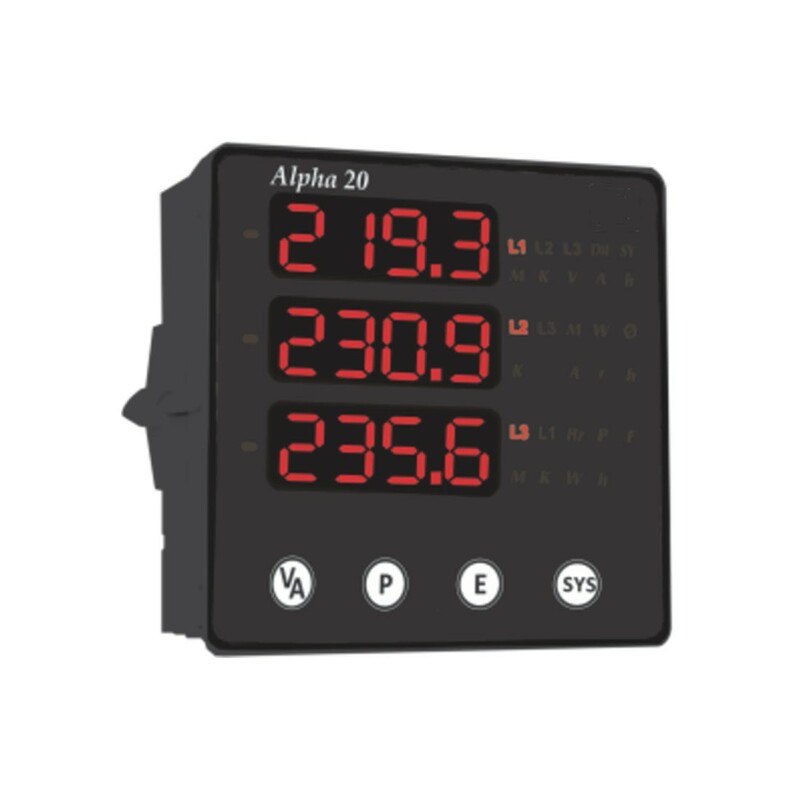 Fixed display lets you clearly see all three selected parameters at one time. On-site PT and CT ratios through the front panel or via modbus RS-485. Optional relay can be set to trip based on various parameters to alarm the end user a certain parameter has been reached.